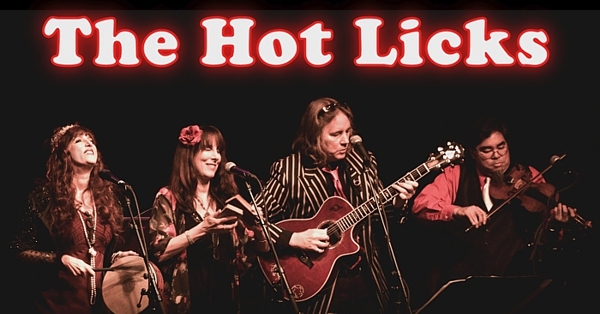 March 2, 2018: We are very sad to announce the passing of Jaime Leopold, bass player with the "classic" Hot Licks. Jaime had been in failing health. 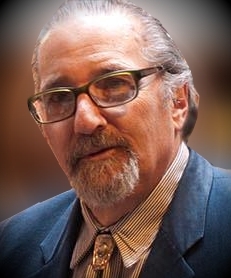 Dan passed away on February 6, 2016, after a two-year battle with cancer. Published obituaries and reminiscences may be found on the Web Buzz page. 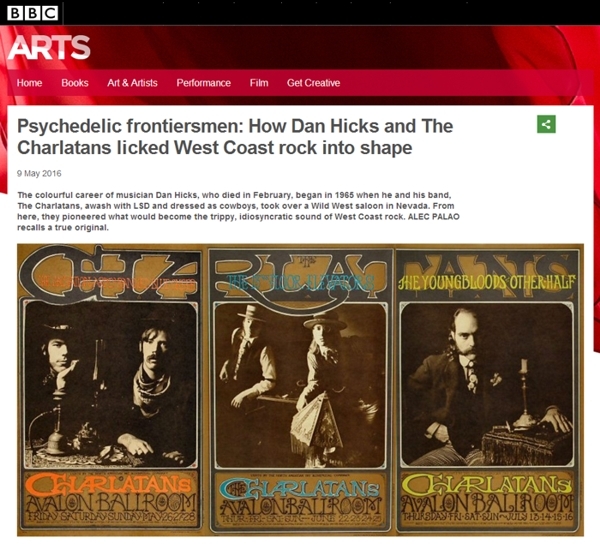 SF Chronicle Promo article for "I Scare Myself"
As he admits, Dan Hicks was in the right place at the right time when, after moving from Arkansas to California as a child, then cutting his musical teeth in the US’ burgeoning folk clubs, he landed in 1966 San Francisco, where the counterculture was coalescing into the city’s psychedelic revolution. As drummer with The Charlatans, he played the acid-coated residency at Virginia City’s Red Dog Saloon credited with kickstarting 1967’s short-lived summer of love, but soon struck out to lead the old-time hothouse jazz of his Hot Licks. 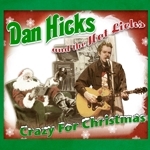 Hicks had written most of his autobiography before succumbing to liver cancer in February 2016, leaving his editor Kristine McKenna and widow Clare to bring his remarkable story up to date. 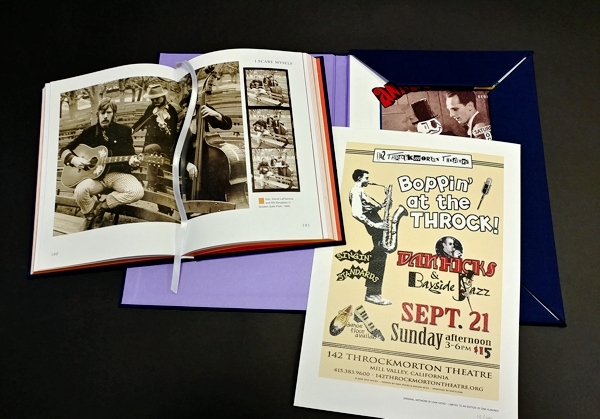 Bookended by Elvis Costello’s glowing introduction and McKenna’s detailed discography, plus a trove of priceless photos and memorabilia, Hicks writes with brutal honesty, vivid insight and humour as dry as the Nevada desert as he recounts The Charlatans’ brief ride, glory years with the Hot Licks and slide into chronic alcoholism, which he eventually trounces to make his late-life comeback before cancer presents a battle he can’t win. All told, a magnificent little artefact coursing with rare truths and observations. 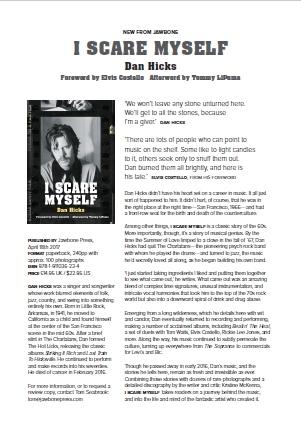 Dan's book is officially out in the world! This was a very special undertaking for him -- he spent a couple of hours on the phone every Friday afternoon with the amazing writer Kristine McKenna sharing his life, stories and thoughts -- a rare move for a very shy guy. 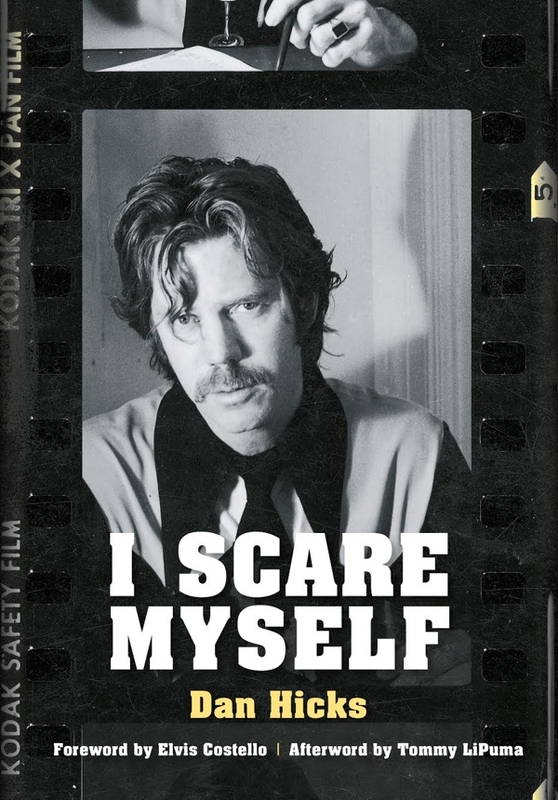 Kristine and I worked on putting it all together over the last year with the great guys at Jawbone Press in London -- the memoir is in Dan's original words -- he wasn't able to completely finish it before he got sick, but Kristine brings us fully to the present. It has 100 pictures and the most complete detailed DH discography on the planet! 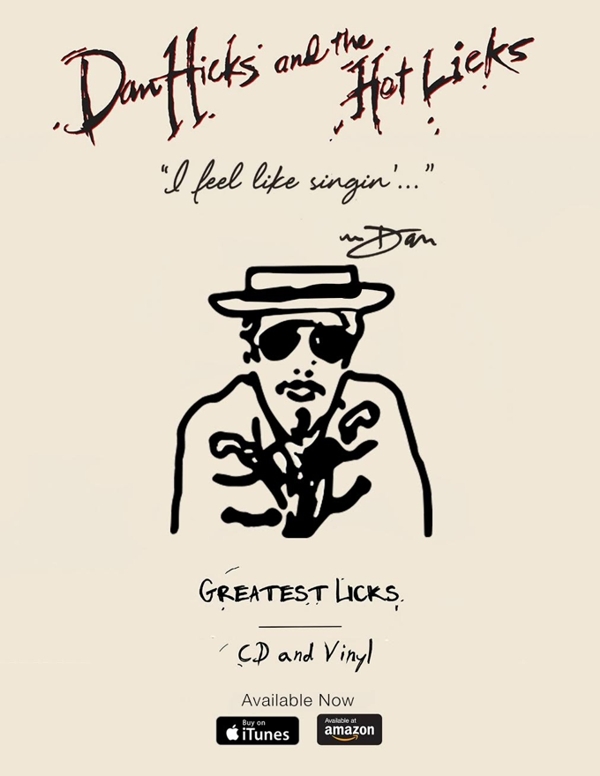 My thanks to Elvis Costello and Tommy LiPuma for their lovely words as well. 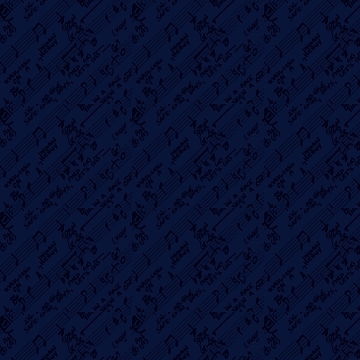 So, hope you all love it! 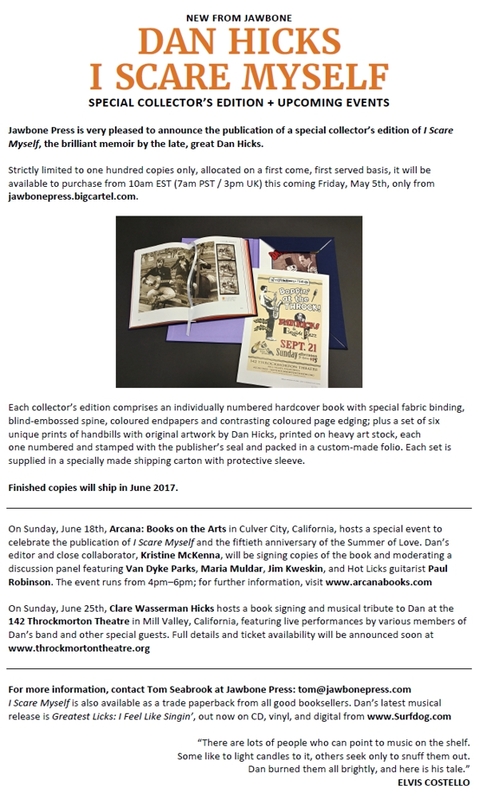 We will stay in touch and let you know about future DH archival projects -- some great unreleased stuff hiding here in his studio at home in Mill Valley! 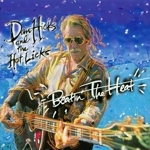 "Greatest Licks - I Feel Like Singin"
Check out the "Best of Dan Hicks and the Hot Licks" playlist! 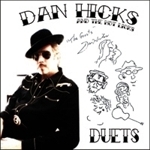 Relive Classic Dan Hicks & the Hot Licks Performances! 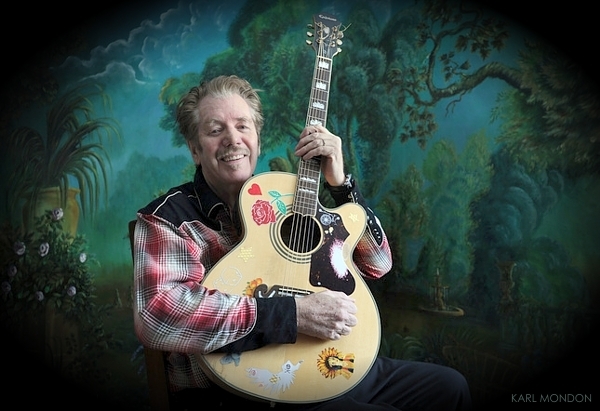 Between 1999 and 2011, before social media had more or less taken over, Dan Hicks fans (aka "Hixters") would send in reports to this website about their experiences attending live Dan Hicks & the Hot Licks performances. That led to a webpage called "Show Reports", where these wonderfully entertaining accounts were archived. There are over 150 Reports available on the "Show Reports -- Eyewitness Accounts of Dan in Action!" webpage. It is great reading, guaranteed to bring back fond memories of Dan, and the great times we all shared. Go there now.